The overwhelming testimony of the world is to the incomparable perfection of Jesus. Even George Bernard Shaw, when critical of Jesus, could think of no higher standard than Christ Himself. He said of Jesus, ‘There were times when he did not behave as a Christian.’ We cannot miss the irony of Shaw’s criticism. 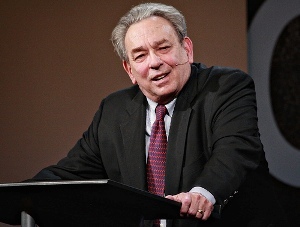 Sproul’s point is very interesting and valid. I’ve seen the same thing in my work with Hindus over the last few years: though they do not know the biblical Christ as He is and hold many misconceptions, they never speak of Him in an unfavourable manner.